Who is Bathsheba? What is her story, do you know it? And what are the facts the Bible offers us about this woman? Many of us, when hearing the name Bathsheba, recognize her as the beautiful woman mixed in a tangle of adultery with King David. We might also know her as the wife of the Hittite Uriah, the daughter of Eliam, or the mother of Israel’s King Solomon. These are all true connections; the facts of her life. They are part of Bathsheba’s story. But if we look deeper, we see much more threaded into this beautiful woman’s life. Bathsheba’s story can be found in the Bible in 2 Samuel 11-12. Here are 7 facts you should know from the Bible’s story of Bathsheba. 1. Bathsheba experienced sin’s far-reaching impact. The first decision to impact Bathsheba, which led to the terrible and deadly embroilment of sin, came from King David. He chose to remain home when kings typically go to war. By refusing to be present where duty called him, his eyes fell on a view that took him straight to sin’s door. David watched Bathsheba while she bathed. Then went a step further: he inquired after the beautiful woman. Next, he requested her presence, and soon enough, he committed adultery with her. Bathsheba, the target of David’s temptation, became embroiled in sin. Imagine what would have happened had David gone to war instead. Bathsheba found herself pregnant. A deceitful David attempted to cover the sin. He invited Uriah, Bathsheba’s husband, home for a time, hoping the man of great integrity would have relations with his wife. But Uriah, knowing his men, remained on the field and in battle conditions, refusing such luxury. As a result, David sinned further by penning instructions for Uriah’s “accidental” death on the battlefield. Not only did Bathsheba feel the sting of adultery – some even speculate it was a forced relation – but she also found herself impacted by the subsequent death of her husband. Sin opened the door for havoc in the woman’s life. 2. Bathsheba found herself involved in a murder plot. Bathsheba wasn’t the mastermind behind the plot. We don’t even know if she had knowledge about it, but the woman’s swollen belly caused David concern, and he pressed on in his attempts to hide the sin. As a result, Bathsheba found herself involved in a murder plot that eventually played out with her husband’s death. 3. 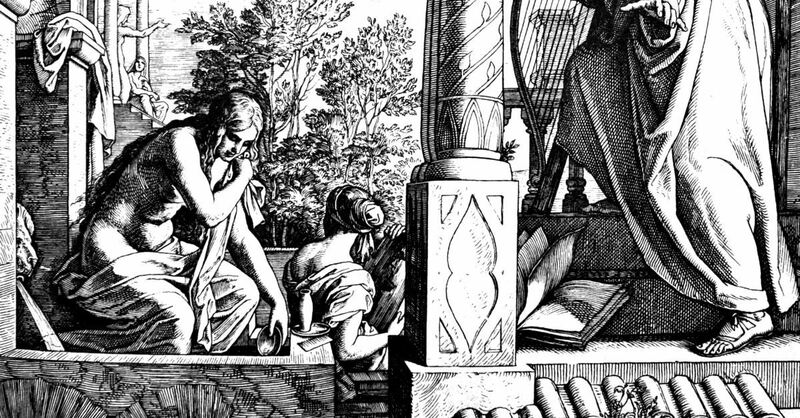 Bathsheba felt the impact of grief. Many of us have felt the clutch of grief due to the loss of a loved one. It’s heavy, and boy, does it hurt. Bathsheba experienced the heaviness of grief as well—twice. She mourned for her husband, Uriah, as well as her child born from the adulterous affair with David. Both deaths occurred within a short timeframe. Most certainly, Bathsheba understood the clutch of grief. 4. Bathsheba raised a king. Can you imagine what it would be like to raise a young man who will one day become king? This undoubtedly was on this new mother’s mind. After entering into marriage with David post-adultery, Bathsheba became pregnant a second time and gave birth to Solomon. Bathsheba became the mother of a future king, and God saw fit to redeem the story, extending his love toward the child, and eventually crowning this boy, Solomon, as king. 5. Bathsheba pressed David to keep his promise. This passage allows us to see Bathsheba taking a risky step to support her child and his future. She pressed David to keep his word, even though another son of David’s had underhandedly claimed the title of kingship. Ultimately, God used Bathsheba’s bravery for His plan. David crowned Solomon king, and the rest is history. 6. Bathsheba was surrounded by men who fell to women. David held a weakness for women. After all, he committed adultery with Bathsheba. But the lure toward women didn’t stop there. It continued into the next generation with Bathsheba’s son. Solomon, a man filled with wisdom from God, seemingly tossed this great gift aside when it came to women. He took many brides, seven hundred, as a matter of fact. And many of these wives were from foreign countries, people groups from which God warned Israel not to consider for marriage. But Solomon, son of Bathsheba, did not honor God’s wishes. He married those women against God’s will. As a result, they dangerously drew his heart away from God Almighty and toward the emptiness and danger of their gods. The Bible notes that Solomon was drawn to the other gods in his old age. Bathsheba was likely dead by that time, but the situation might cause us to wonder what she noticed when she was alive and how she felt about her son’s flirtation with danger due to his hunger for women. Was she worried? Did she pray for her son? Did she have conversations with him or simply stand by and watch? The Bible isn’t clear, but the outcome remains crystal. 7. Hope springs from Bathsheba. Sometimes folks consider Christians clean and squeaky. But if we view the lineage of Jesus, we see imperfect people claiming their spots in this miraculous ancestry of hope. Murder and adultery, from the story of Bathsheba and King David, sit in this line. Yet God threaded hope into the end of the line with Jesus. All Christians can find hope in Jesus. It doesn’t matter how far we’ve strayed or what sins we’ve committed. Everyone is pardonable when we believe in and rely on the Lord for forgiveness. He takes the messy and makes something stunning and hopeful from its threads. With the beauty of this hope impacting our lives and history, we share in the redemption of Bathsheba’s story as well. Kristi Woods, writer and speaker, is passionate about women walking deeper with God. 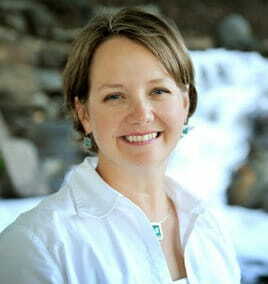 She writes regularly and offers faith-building tools at www.KristiWoods.net. She contributes monthly at iBelieve.com and Crosswalk.com and is published in three Chicken Soup for the Soulpublications. Kristi, her husband, and their three children survived a nomadic, military lifestyle, and have set roots in Oklahoma. Connect with Kristi here: Facebook and Pinterest.